Xtreme Healthy Lifestyles is opening our Commercial Division of the business. You have another way to generate income with commercial accounts, with one of the healthiest and best tasting coffees in the world. Do you know anyone that owns a business that drinks Coffee? How about anyone that does catering that would like to really impress their clients? Actually, from the White House throughout Corporate America and almost every Business, Church and Hotel everyone drinks Coffee!! We can ship anywhere in the United States and can design a private label upon request and with certain quantities. Xtreme Healthy Lifestyles believes that in order to be the best at delivering some of the richest coffee produced in the world, that will transport your taste buds form the lush and exotic landscapes to the convenience of your coffee maker. We knew we needed to go with the ultimate roasting process, and immediately reached out to longtime friend and business partner, Kristy Virtue. This partnership brings Virtues of Coffees’ 30-years of experience in the coffee industry to the table with 20-years as a specialty coffee roaster to the heart of Healthy Coffee Lifestyles. Master Roaster and President, Kristy Virtue utilizes a specialized State-of-the-Art infrared roasting technology that ensures an even perfect roast every time delivering you a once in a lifetime coffee experience. Healthy Coffee Lifestyles brings 30+ years of experience in the coffee industry to the table with 20 years as a specialty coffee roaster. Healthy Coffee Lifestyles established itself as a specialty roaster in 1989 when we opened operations in Livermore, California. Since 1989, Healthy Coffee Lifestyles has been enjoyed by coffee lovers in restaurants, cafes, espresso bars, and commercial venues alike. 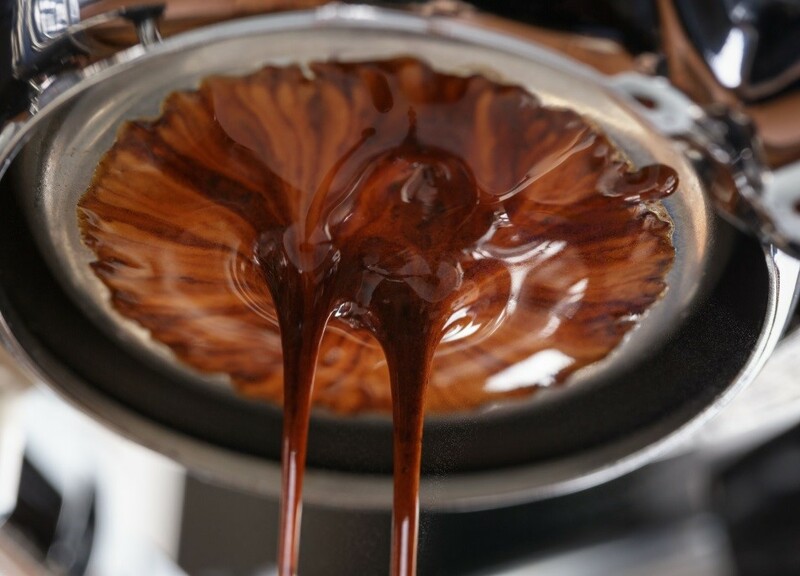 We believe coffee is an art, not a process. In order to be the best, we focus on doing one thing well -- coffee. 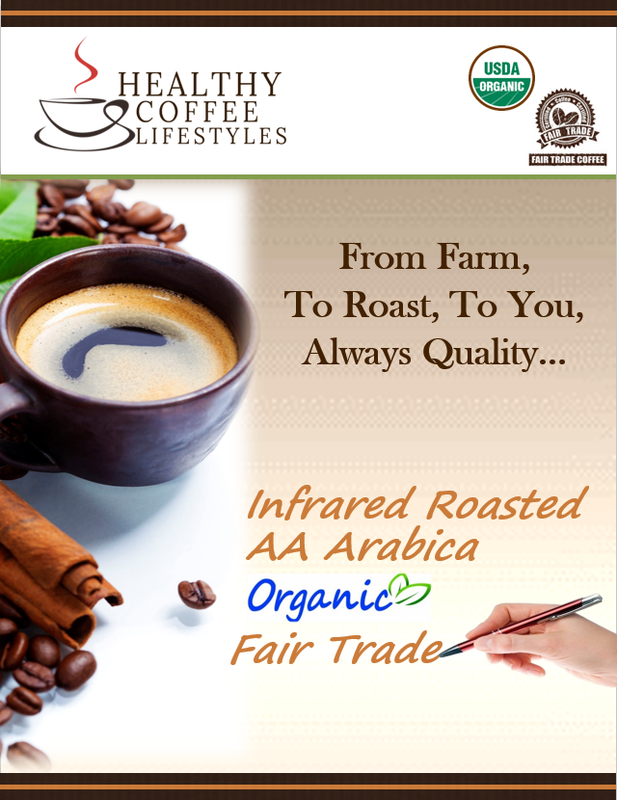 Healthy Coffee Lifestyles utilizes state-of-the-art infrared roasters that evenly roast every bean locking in the flavor and aroma. You will find that our coffees are never bitter, never burnt. 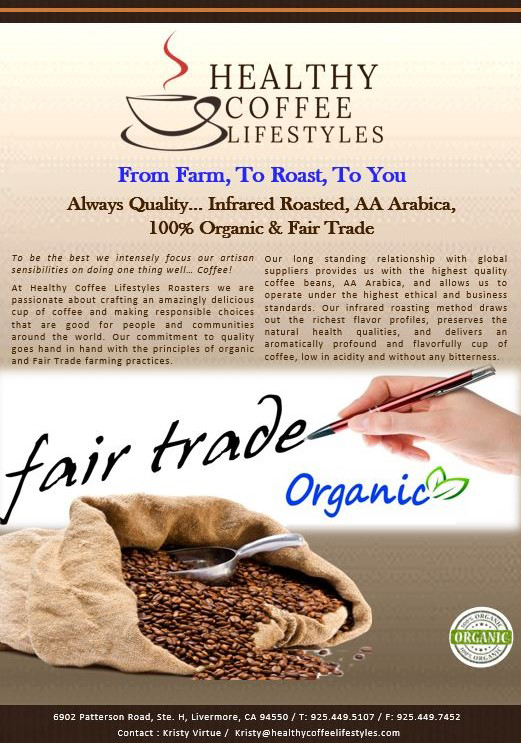 ™ Healthy Coffee Lifestyles consistently produces smooth, low acidic and full flavor coffees for every coffee profile every time. Week in and week out, Healthy Coffee Lifestyles Roasters provides the consumer with the best tasting and freshest coffee available. With an artisan approach to roasting coffee, our Roast master and President, Kristy Virtue and Michael Babcock, CEO, takes great pride in crafting some of the best coffee produced in the world. Starting with the best person coffee beans money can buy, blending the coffees using unique recipes, and artisan roasting with small batches brings out the special characteristics of each bean, Healthy Coffee Lifestyles Roasters packages and ships coffee immediately to ensure the freshest product available. We work with one of the world's largest coffee importers in the world to bring our customers the exact coffees and pricing required to meet their needs. Healthy Coffee Lifestyles Roasters has a strong product portfolio to help meet your customer's needs and the coffee expertise to help you grow your coffee segment. 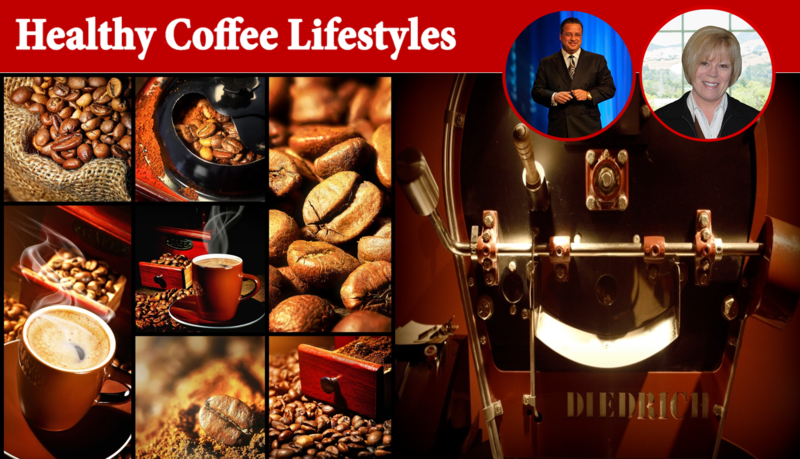 Xtreme Coffee Lifestyles is extremely proud to using of Dietrich Manufacturing Infrared coffee roasters. 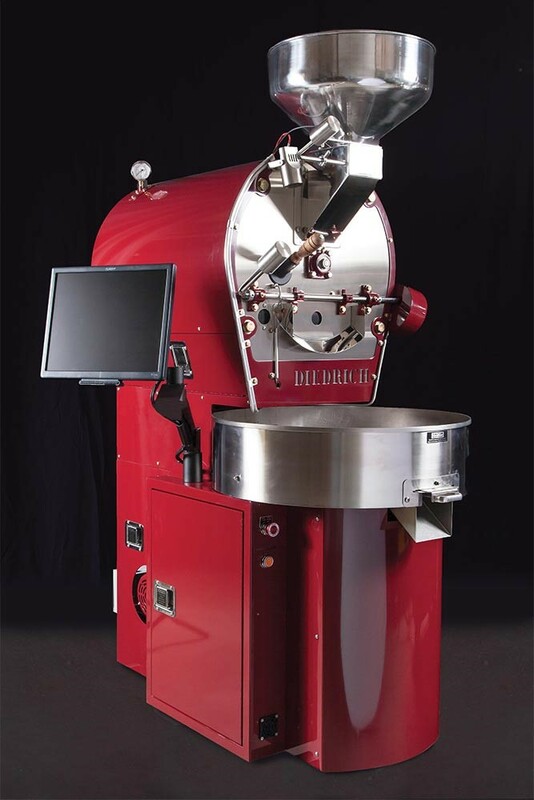 Diedrich Manufacturing has been the leader in infrared coffee roasting equipment for over half a century. Beyond that infrared coffee roasting, why does this process lead to a better tasting cup of coffee without a bitter taste. Because Diedrich roasters are so phenomenally superior to other conventional coffee roasting methods there was never any question what machine we would use. This puts Healthy Coffee Lifestyles Roasters in a unique class of specialty custom coffee roasters as it is estimated that only 2%* of all coffee roasted uses this higher-standard processing method. 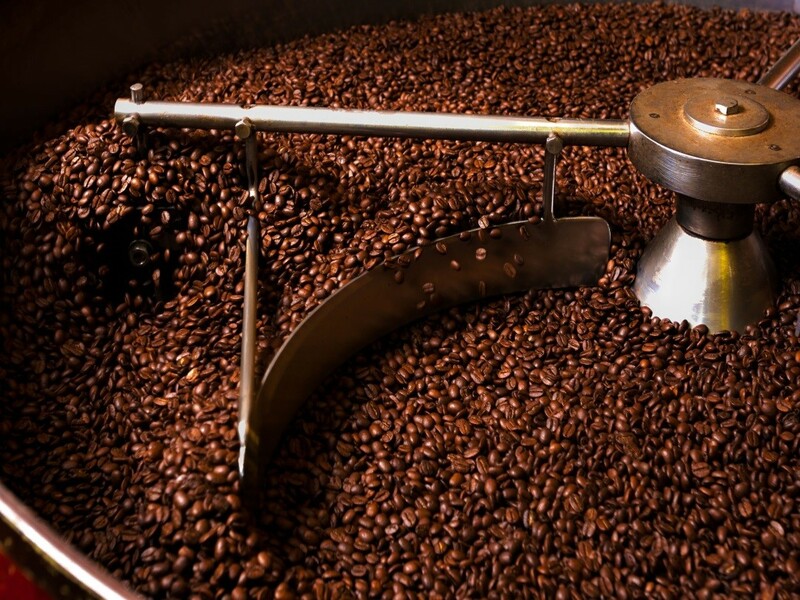 Studies have shown that compared to conventional roasting, infrared roasting showed less increase in radicals on the bean during and after the roasting process. Even more noteworthy were the changes in the contents of citric acid, malic acid and formic acid that are naturally found in the bean. When monitored and compared to conventional roasting, infrared roasted coffee beans showed changes from an earlier stage. As the roasting proceeded, the infrared roasted coffee beans contained these acids in a smaller amount! Not surprisingly, the content of aroma compounds were found to be 25% more than that of conventional roasting and when tested was found to carry the same standard to the cup leading to a better coffee without a bitter taste. Now everyone can enjoy Healthy Coffee Lifestyles without issues to stomach sensitivity due to our low (ph.) acid of our coffee.